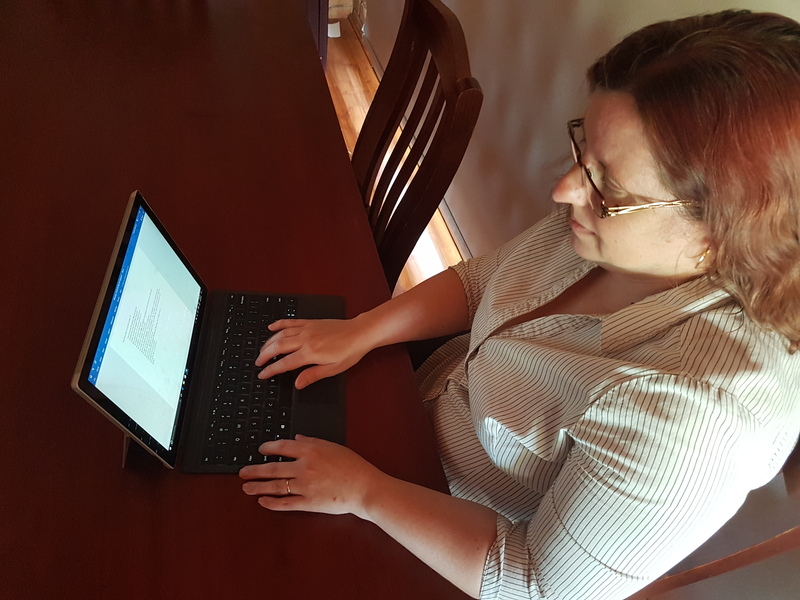 Recently I interviewed Kathy Sinclair, who is another #Surface Pro owner who has her own private consultancy business. Her sole trader business is focused on the niche area of ‘Policy and Governance’. Kathy is a good friend of mine and has often spoken about her loving her Surface Pro for both work and personal (she also loves writing). I assist my clients to define their policy needs and then work with them to research, draft and consult on new and amended policy positions. Every business benefits from clear policy statements to guide actions and behaviours, as well as assist with regulatory compliance. My clients are mostly universities, so helping them get their policies clearly defined helps students as well. I offer a wide range of policy development services, including training and implementation support. My main work, however, lies at the policy research and drafting stage, and the management of stakeholder consultation. I run my business largely from my home, but I visit my clients regularly to meet with them and recalibrate the policies under development. My Surface Pro has been a lifesaver for these occasions, allowing me to fully integrate my onsite and offsite work. I tether my Surface to my mobile phone, which has an extensive business data plan, and I can work anywhere as if I was sitting at my home desktop. I love the fact that the Surface is so quick to boot, reliable, and light enough to carry around without exacerbating my neck injuries. For more information, find Kathy Sinclair on LinkedIn.